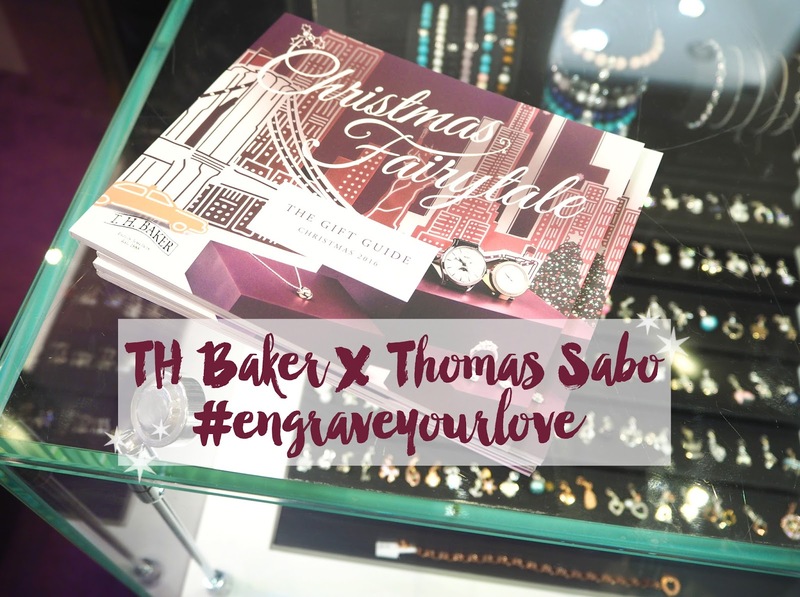 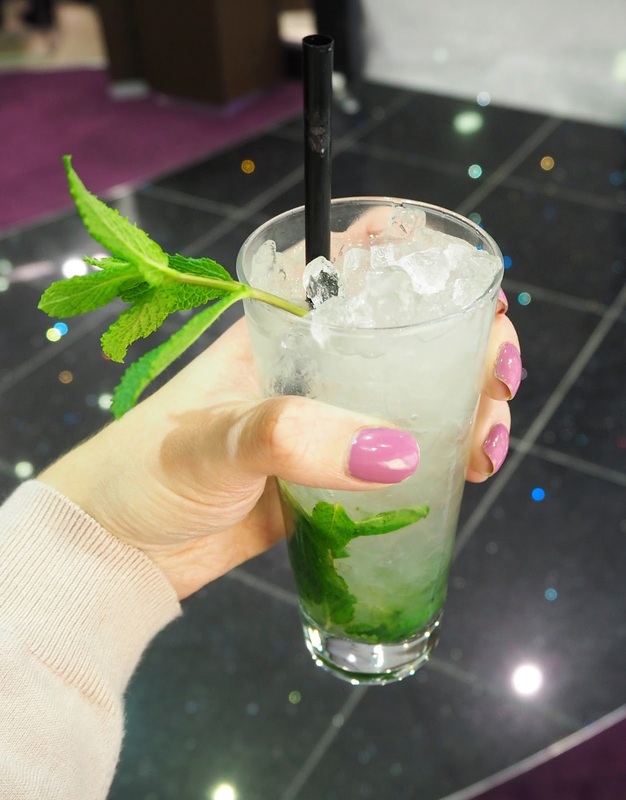 Last week I attended a TH Baker & Thomas Sabo Christmas Wishlist event in Brighton. 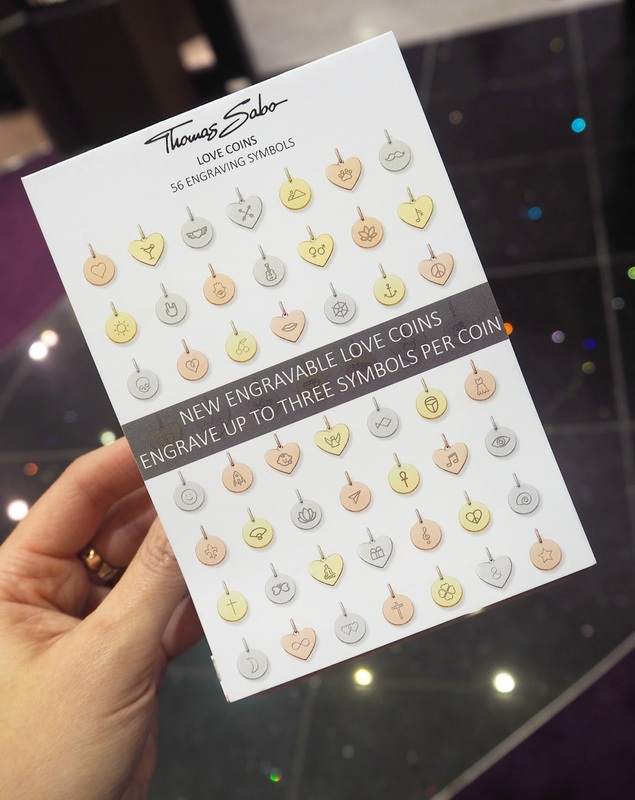 This was to promote Thomas Sabo's brand new personalised engraving service they now have on offer! 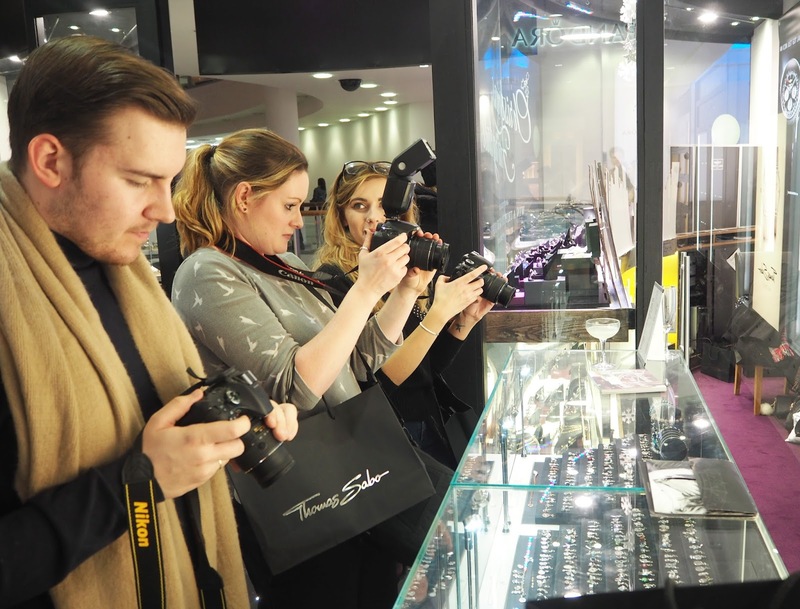 I got to catch up with a few other local bloggers, Holly, Tania & Charlie, who I'd met before and we had a lovely time photographing the jewellery, looking at engravings & seeing how many canapés we could scoff between us - answer: a lot! 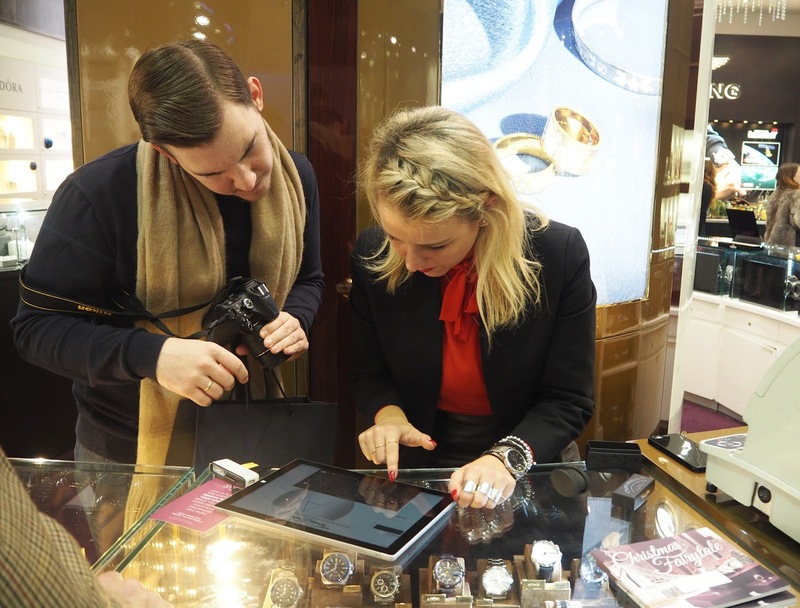 Francesca, the Digital Manager for Thomas Sabo, greeted us as we arrived and talked us through all of the beautiful new pieces released by Thomas Sabo. 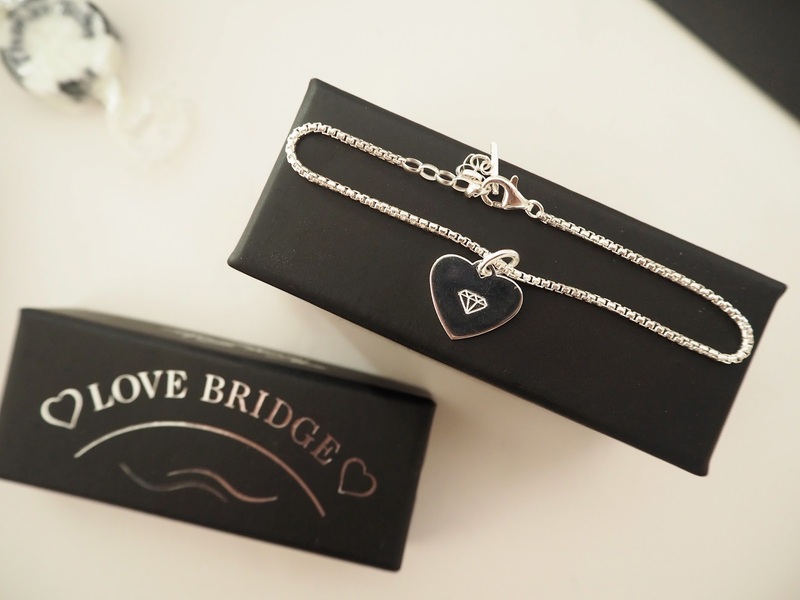 Engraving is free of charge on all of the new Love Bridge A/W collection once purchased. 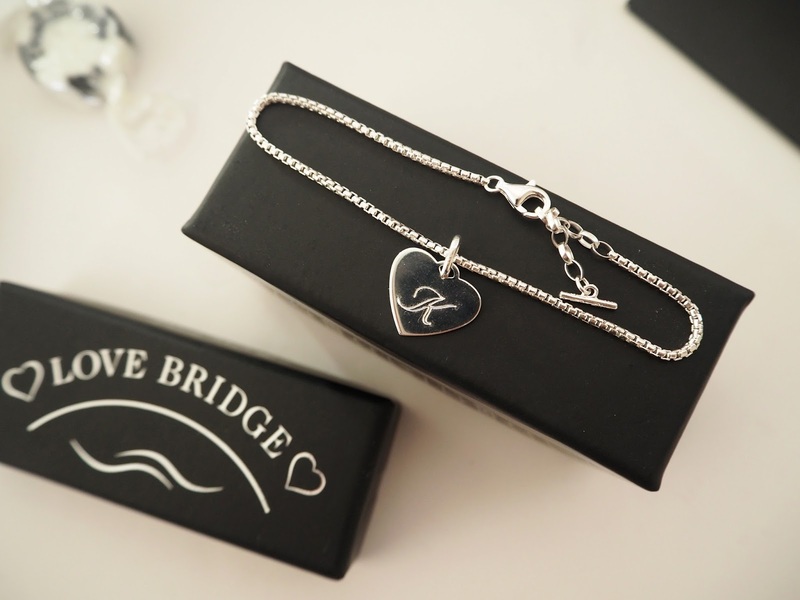 I was given a silver heart charm bracelet to get engraved with my choice of symbol on either side. 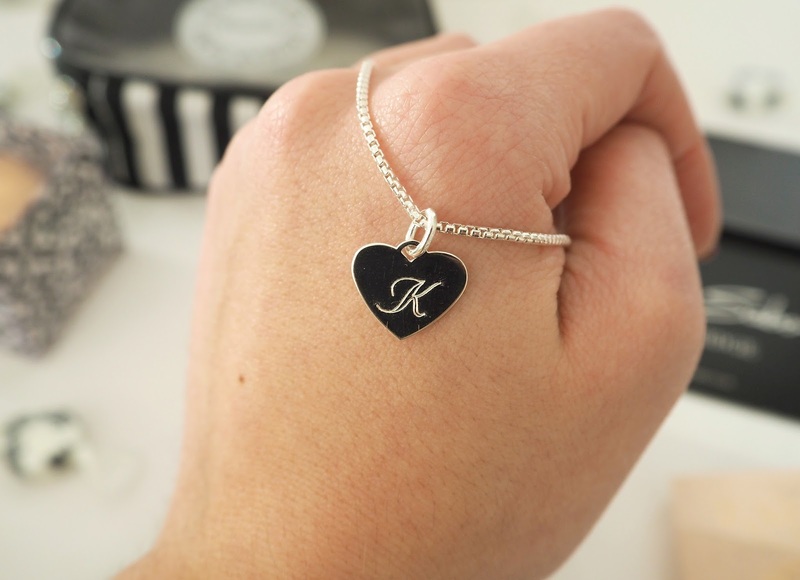 There were so many lovely options that I had a hard time deciding but eventually I went for a K in the 'romantic script' type on one side and a little diamond (like the emoji) on the reverse side to represent my jewellery making and love for all things sparkly! 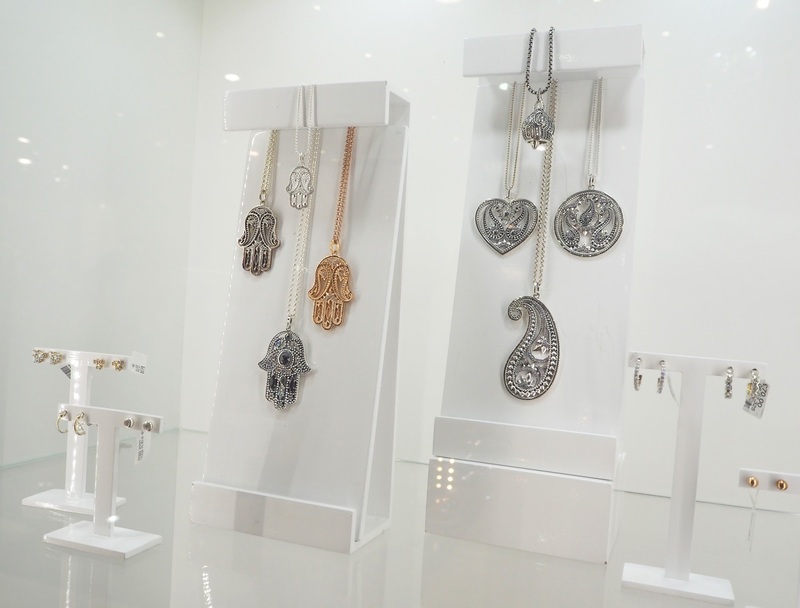 I was very taken with the little paw print, winged heart and the cocktail glass symbols as well so I might go back and get one of those engraved on something else sometime. 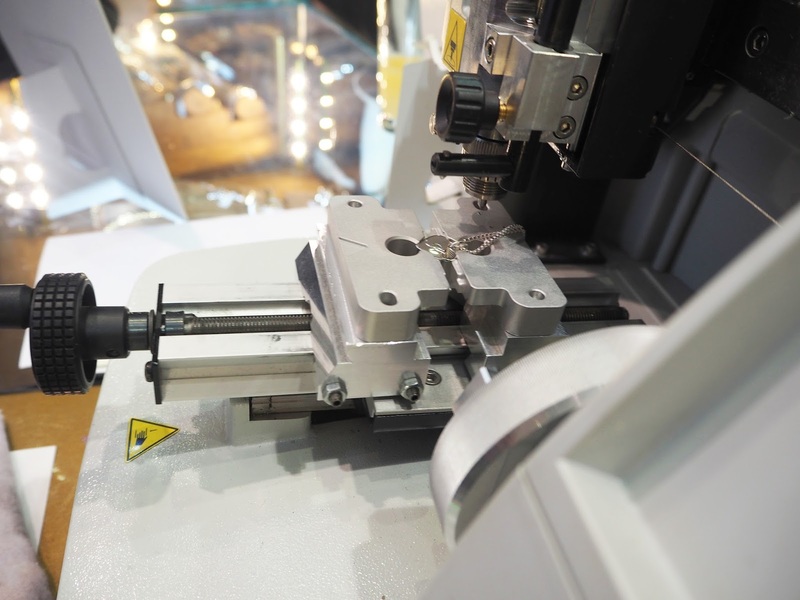 It was really fun actually watching our pieces getting engraved in literally a matter of seconds once placed in the little machine. 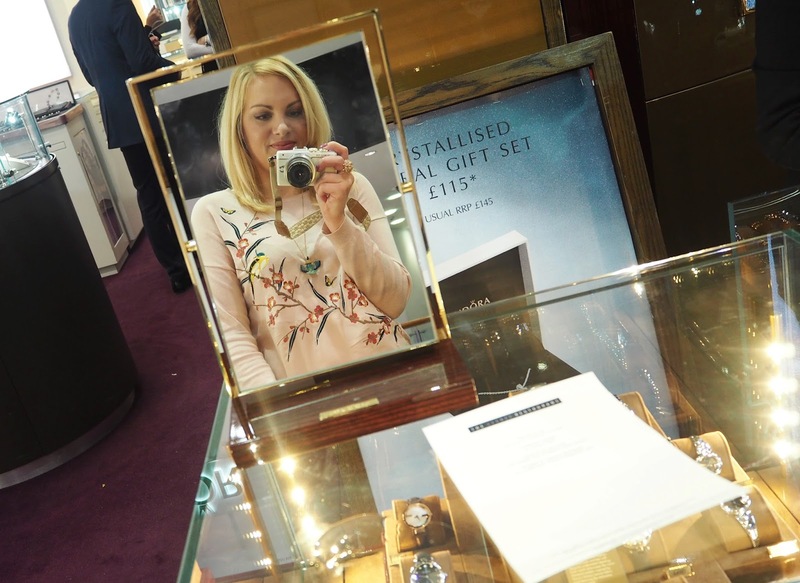 I think it's such a special idea for gifts to get a piece of jewellery personalised, it really shows you've thought about the person you're giving it to. 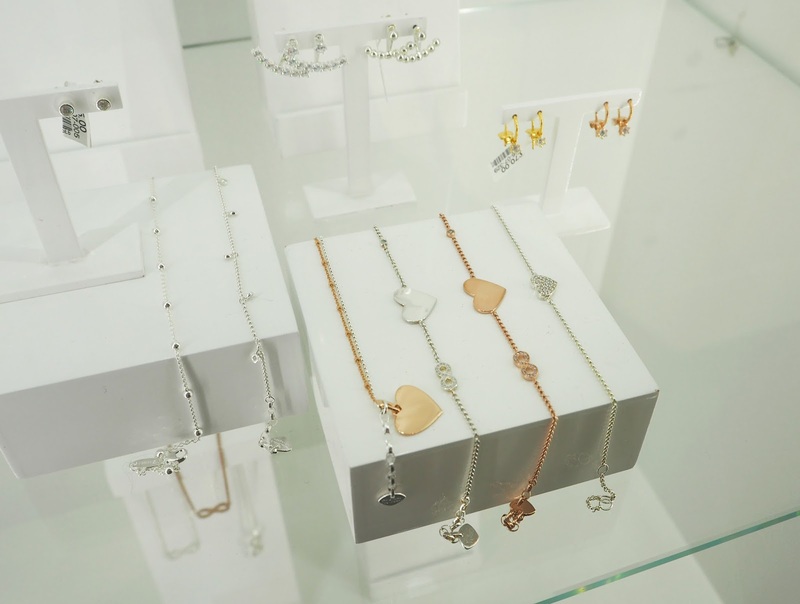 I was also really taken by this Rose Gold Watch, Filigree Heart Necklace & Feather Necklace, both were too pricey for me to buy while I was there but I've put them on my wish list! 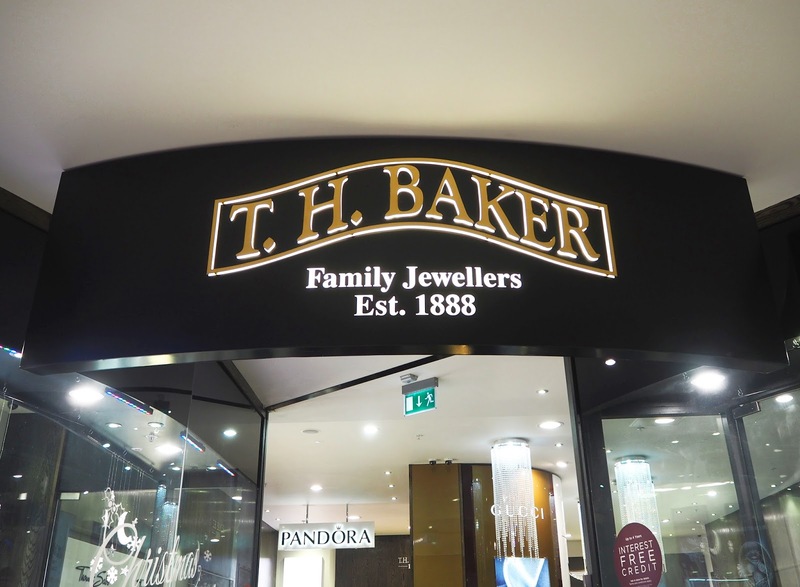 All the staff in TH Baker were incredibly friendly & helpful. 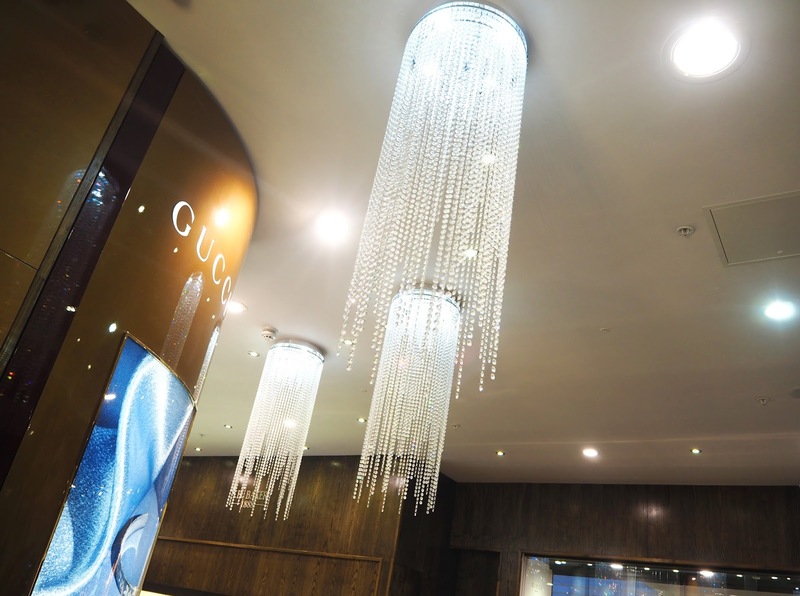 The store is lovely and spacious, filled with many gorgeous jewellery brands as well as Thomas Sabo and I was particularly enamoured with the glitzy floor! 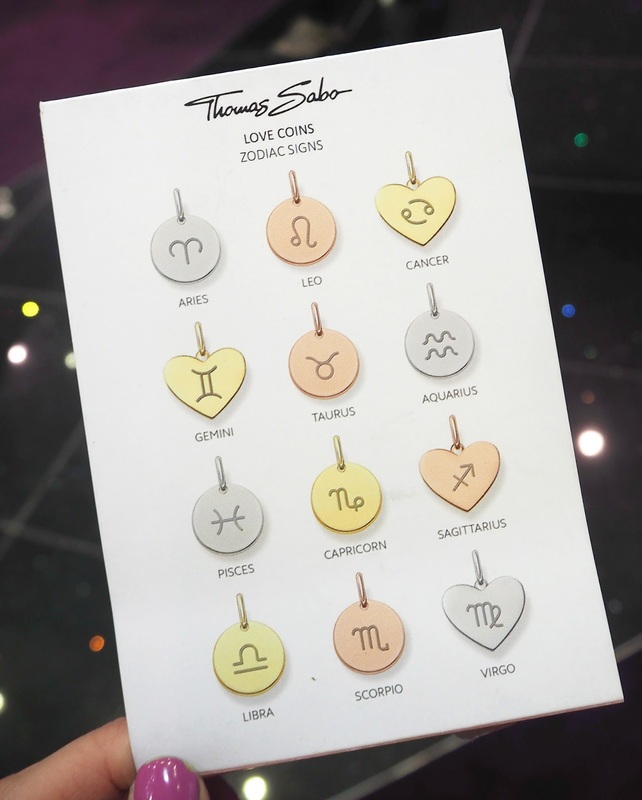 Francesca said they calculated that between the different metal finishes and all of the symbol choices there are 13,000 different engraving combinations! 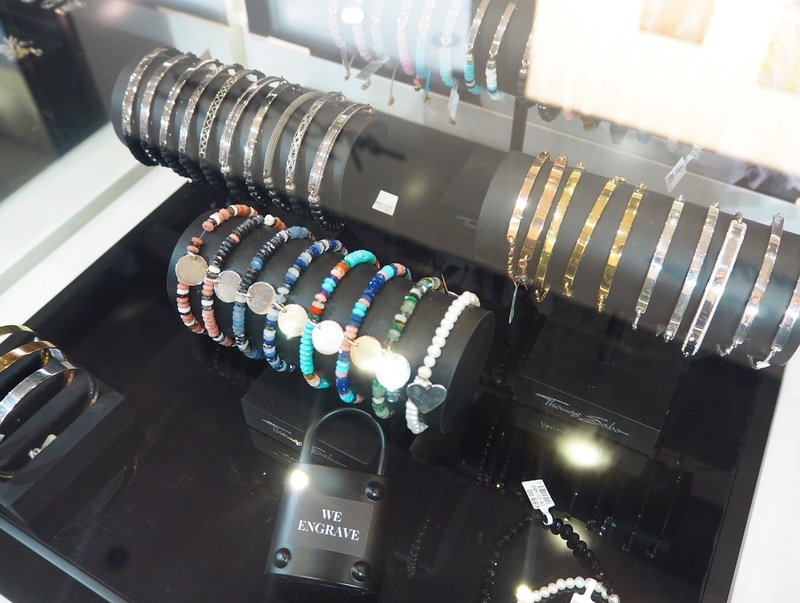 She also told us that you can buy the pieces blank and come back and get them engraved free of charge at a later date for example if you want the recipient to choose their own engraving. 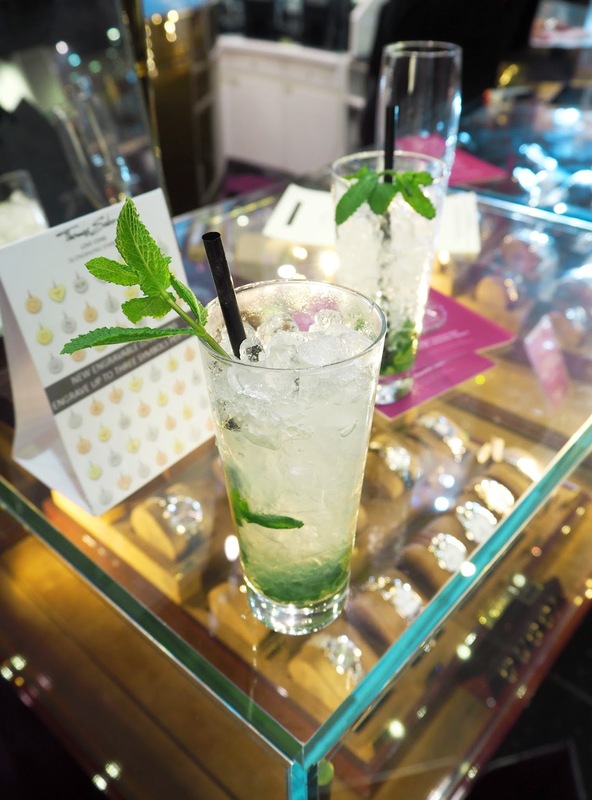 As I mentioned before there were canapés, as well as freshly made cocktails on offer throughout the event which were possibly the most delicious things I've ever eaten! 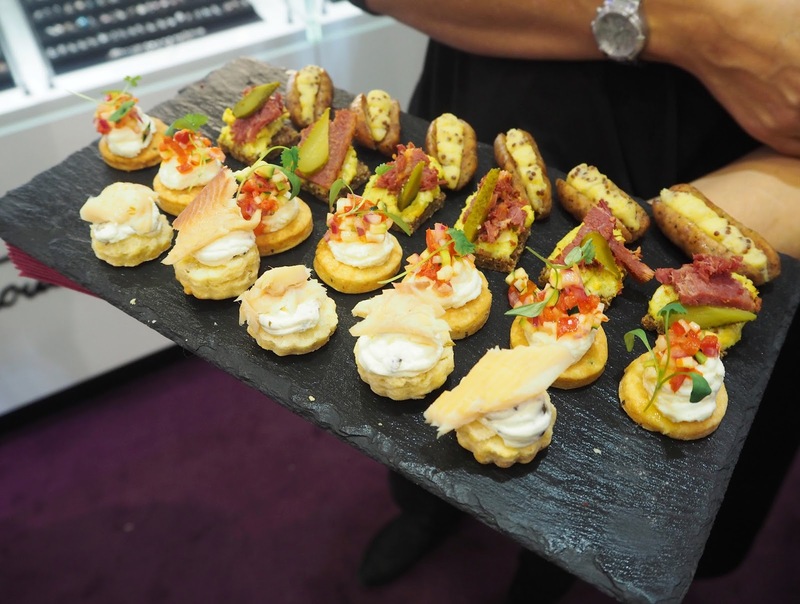 They were provided by The Secret Restaurant who offer private catering for dinner parties, functions and weddings in the London & South East area and I would highly recommend getting in touch as their food was incredible. 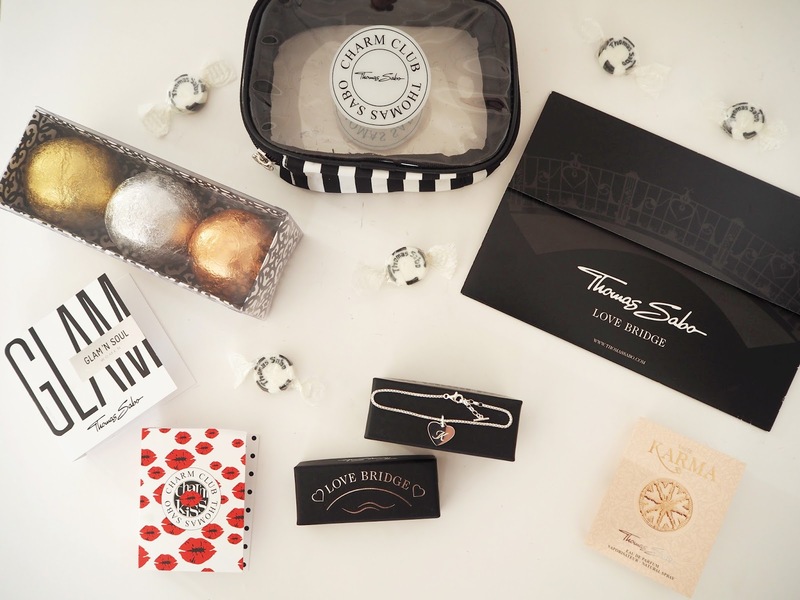 We were each given a goodie bag which, as well as our own personalised engraved bracelet, included a trio of Bath Fizzers, a little make up bag and even some little sweets with Thomas Sabo written through them! 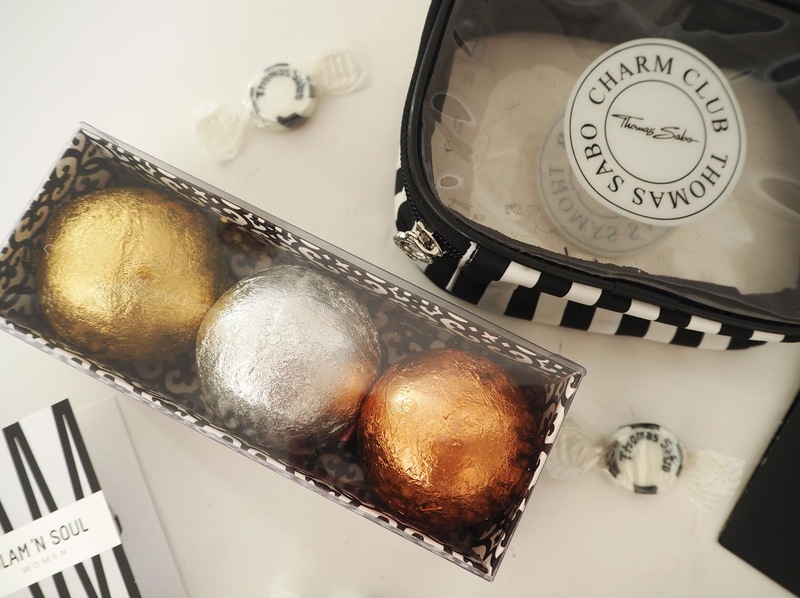 We also received three Thomas Sabo Perfume samples - Glam 'N Soul, Charm Kiss & Karma - which I'm excited to try out. 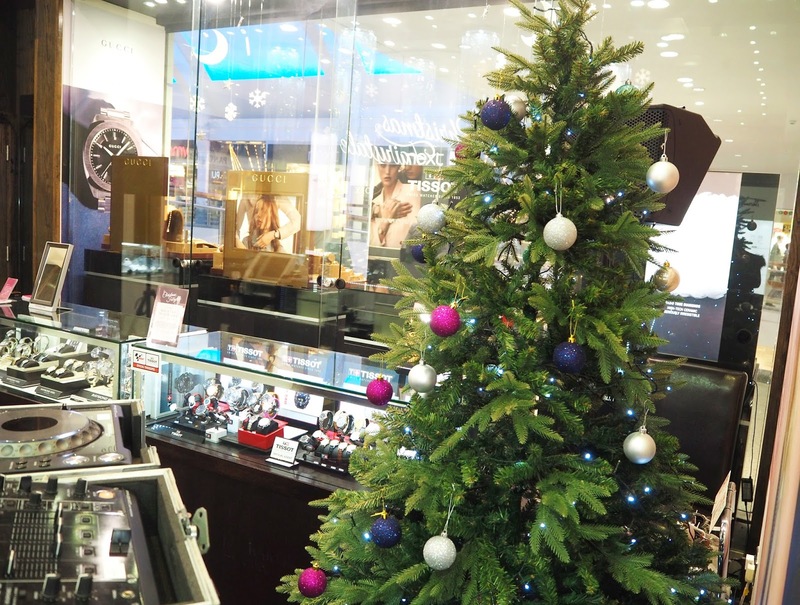 Thank you so much to Francesca, Thomas Sabo and the lovely people at TH Baker in Brighton for inviting me and making it such an enjoyable night. 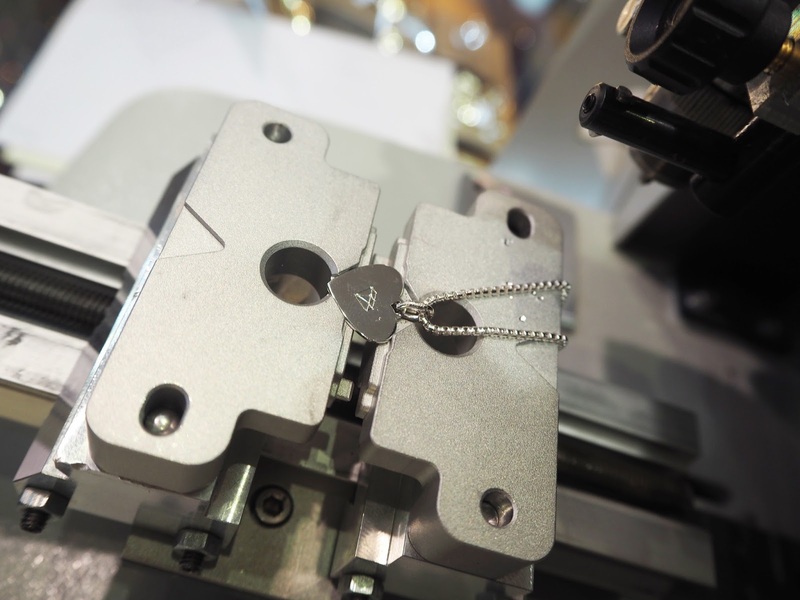 What would be your engraving of choice?